The sun is shining, birds are chirping, & lawns are being mowed throughout the land. It is springtime in America!! And one thing that means is a variety of sports stories about which I…as usual…have some thoughts. Sit a spell and join me…you know you want to. • The NFL Network provides much better coverage than ESPN. I watched ESPN’s coverage of the first round because…well…it’s just been such a tradition for so long. Chris Berman & Mel Kiper Jr. are like the Jerry Lewis of football…you only see them once a year so you sure do look forward to that occasion (sadly of course Lewis’ MDA Telethon…once a Labor Day Weekend staple of Americana…has now quietly faded away). However, they have now introduced Jon Gruden, Todd McShay, & Ray Lewis into the mix (and apparently eased out Tom Jackson), and I found Gruden & “Shooter” Lewis to be rather grating. They love the sound of their own voices and seem far too pleased with their alleged expertise. By the 3rd round the guys on ESPN weren’t even paying attention to the announcement of the draft choices anymore, so I flipped over to NFL Network and found their coverage to be much more focused, cerebral, & low-key. Maybe next year I’ll cut the ESPN cord completely on draft weekend. • The Cleveland Browns did the right thing by not taking QB Johnny Manziel at the #4 spot and instead grabbing him with the 22nd choice in the first round. I still think it’s 50/50 as to whether he’ll be a superstar or a complete bust. He’s too small and I’m not a fan of his selfish & arrogant demeanor. I am not at all sure that he can withstand the pounding of NFL defenses. But if he does fail miserably atleast it’ll be in Cleveland, and I will laugh and laugh and laugh and laugh and laugh…lol. • During the 2nd round of the draft Commissioner Fidel Goodell introduces legends/Hall-of-Famers from each franchise to announce their team’s draft pick: Marvin Harrison for the Colts, Chad Pennington for the Jets, Aeneas Williams for the Cardinals, Mike Singletary for the Bears, Herman Moore for the Lions, etc. were some of this year’s guests. Anyway, I have an idea. Next year they should let the biggest disappointment/embarrassment for each team make the pick: Jamarcus Russell for the Raiders, Rae Carruth (live from prison) for the Carolina Panthers, Ryan Leaf for the Chargers, Tony Mandarich for the Packers, former coach Bobby Petrino for the Falcons, Akili Smith & KiJana Carter together for the Bengals, Art Schlichter for the Colts (also from prison), Lawrence Phillips for the Rams (he’s in prison too!!). OJ Simpson (from prison…of course) could announce picks for both the Buffalo Bills & San Francisco 49ers. This would be a ratings bonanza. Make it happen NFL. • After 41 years on this planet and nearly as long as a Pittsburgh Steelers fan I finally had an epiphany about The Steeler Way during the draft. Whereas most teams assign a particular value to individual players the Steelers focus on the value of each position, and obviously they believe that the most valuable position is linebacker. For the second year in a row the Steelers spent their 1st round draft pick on a linebacker. In 2013 it was Jarvis Jones from Georgia and this year it was Ryan Shazier from Ohio St. I don’t have a huge problem with the Shazier pick…I just didn’t think it was necessary with Jones, Lawrence Timmons, Jason Worilds, & a few other young guys in the mix already. The vast majority of Steeler fans were expecting them to choose a much needed cornerback in one of the first couple of rounds, but instead they waited until the 5th round to pick CB Shaquille Richardson from Arizona. What that tells me is that the suits in The ‘Burgh don’t think there is that big of a difference between a 1st round corner and a 5th round corner. A few years ago I would have just went along with that logic and assumed the powers-that-be knew what they were doing…but these days I’m not so sure. • Some possible steals: QB Logan Thomas from Virginia Tech to the Arizona Cardinals in the 4th round, RB Lache Seastrunk from Baylor to the Washington Redskins in the 6th round, RB Ka’Deem Carey from Arizona to the Chicago Bears in the 4th round, QB AJ McCarron from Alabama to the Cincinnati Bengals in the 5th round, QB Zach Mettenberger from LSU to the Tennessee Titans in the 6th round, CB Keith McGill from Utah to the Oakland Raiders in the 4th round, & G David Yankey from Stanford to the Minnesota Vikings in the 5th round. If there is one thing that we have learned from the Donald Sterling scandal it is that NBA owners do not really own their team. They are actually owners of 3.33% of the league, and if the other 96.67% of ownership decides to turn on a fellow owner it’s all over. I don’t necessarily have an issue with NBA Commissioner Adam Silver banning Donald Sterling for life, and I won’t disagree when the rest of the owners vote to make him sell the team. It is what is best for business. In reality the man is 82 years old & obviously not well, so it was probably a matter of time before the Los Angeles Clippers ended up with new ownership anyway. And let us not shed a tear for Sterling or his family, all of whom will become even wealthier when the team purchased for $12 million in 1981 is sold for a half billion. Having said that, recent events do concern me just a little. Look…very few people would even try to defend the inane racist ramblings of a guy like Sterling. He’s an old kook who seems to have lost a few too many of his marbles. But imagine if the bank could come and repo your car or evict you from your house…not for being delinquent in your payments but because they disagree with your sociopolitical opinions. That’s not the America that I know & love…it’s fascism. I understand that a professional sports league is a unique entity. 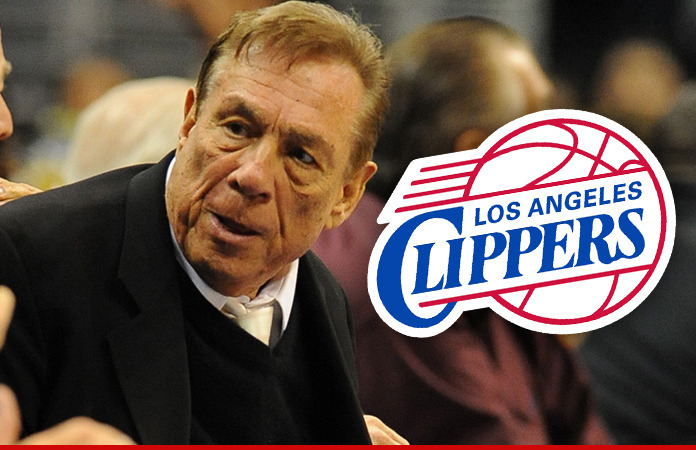 As an owner Donald Sterling, to a degree, represents the team, the league, & the city of Los Angeles. I understand that his belief system is not deemed appropriate by most anyone with a lick of sense. However it is also my understanding that Donald Sterling did not commit a crime. Actually the fact is that Sterling’s racist tendencies have been well known for many years and there have been instances in the past where he probably did commit crimes by way of housing discrimination and the NBA turned a blind eye. But now, when the actual crime committed was by the “girlfriend” who secretly taped Sterling’s conversations, the NBA decides to take drastic action to cover their rear ends in the midst of a public relations nightmare. As I said, hardly anyone would even attempt to support Donald Sterling’s idiocy, but what if losing everything you own because a person you trusted clandestinely recorded your deepest personal thoughts becomes commonplace?? What if just about everybody in the country was cheering your demise?? It is easy to revel in Donald Sterling’s implosion because he is just about the least sympathetic character imaginable…but what if it happened to you?? It’s a slippery slope…one that we must be aware of and concerned about in 21st century America. I have watched only a couple Pittsburgh Pirates games in the past month. As I feared last season’s “breakthrough” and the end of two decades of losing was just a mirage. This team isn’t there yet and I’m beginning to doubt whether they ever will be. They lack a killer instinct. They lack the will to win. The pitching isn’t nearly as dominant as it should be after concentrating on that aspect of the game with the draft & the farm system over the past several years. And there is very little offense. They are averaging 3.91 runs/game. The division leading Milwaukee Brewers are averaging 4.02 runs/game. The Detroit Tigers & San Francisco Giants…currently the two best teams in baseball…are scoring 4.85 and 4.18 runs/game respectively. These may seem like miniscule statistical differences, but baseball is a game of statistics. If Player A gets 150 hits in 500 at bats during a season that’s .93 hits/game and a .300 batting average, which probably means he’s an All-Star and over the course of an entire career possibly a Hall-of-Famer. Meanwhile, if Player B gets just 130 hits in 500 at bats it is .80 hits/game, a .260 batting average, and over the course of a career would be looked at as quite prosaic. Twenty hits less in the span of 162 games and look at the difference in perception. 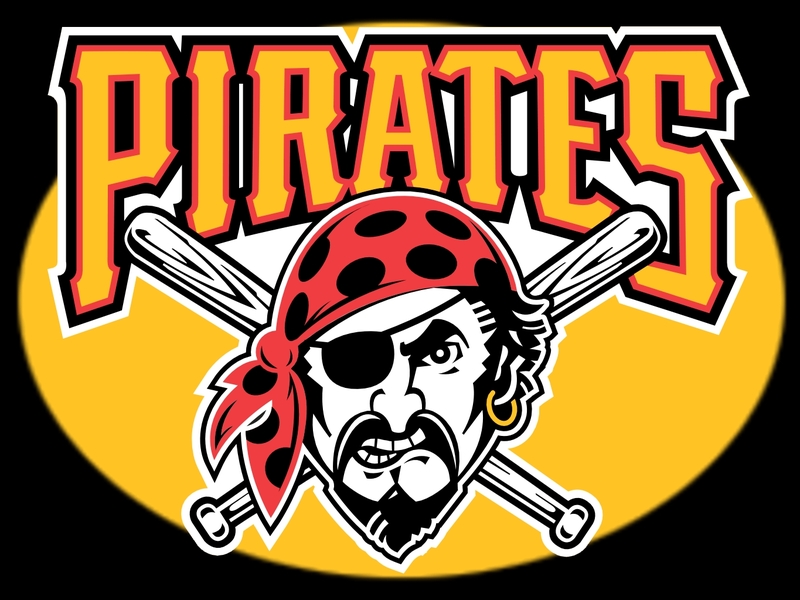 It’s the difference between winning two World Series in the past decade…like the Boston Red Sox, San Francisco Giants, & St. Louis Cardinals have all done…and the Pirates. I suppose I need to comment on this whole Michael Sam thing….. Essentially what everything boils down to is that ESPN and others in the media deserve nearly all of the blame for any negativity that has landed at the feet of Michael Sam. 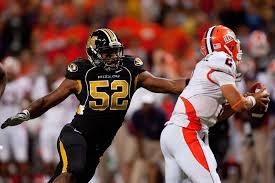 For those who may have been off the grid in the past week Sam was a defensive end for the Missouri Tigers. He was named the SEC Defensive Player of the Year for 2013, but due to his small stature and other pedestrian measurables was deemed a fringe NFL prospect. In February he “came out” publically in an interview (not surprisingly on ESPN) because announcing to the whole world that you are gay has become a rite of passage for all level of celebrities in 21st century America, which is my main problem with the whole thing. I am physically disabled and have spent my entire life trying to just fit in. I don’t like calling attention to myself. I just want to be treated normally…like everyone else. That quest has been a defining aspect of everything I have ever done. The “LBGT community” will say that what they want is equality & fairness, but it seems like what they truly desire is to be celebrated and treated like trailblazing heroes. ESPN’s coverage of Michael Sam has been somewhat disconcerting. A lot of folks were kvetching about Sam kissing his boyfriend when he was drafted, but my question is why were there cameras there in the first place?? I watch the NFL Draft every year. By the 4th round talking heads like Mel Kiper Jr. & Todd McShay have completely lost interest in keeping up with the picks as they are announced and are still yapping on & on about top guys like Johnny Manziel & Jadeveon Clowney. I can’t ever remember them having cameras on a 7th round draft choice as he receives the phone call from the team selecting him. So why does Michael Sam get that kind of coverage?? Because he is gay?? That’s not equality…that’s putting someone up on a pedestal they haven’t earned. And then people wonder why there is anger & frustration. It must be nice for Michael Sam to know that he is a virtual lock to make the St. Louis Rams, and make no mistake…he will be on the team when the season starts. The NFL, ESPN, and the entire leftist media have too much invested at this point for Sam to fail. Good for him. I wish him well. He is a good football player. Most of them are at that level. I just hope for his sake that someday his playing skills will be the center of attention and not his sexual preference…something that should have never become an issue in the first place.